The musical history of British soul pioneer Omar is renowned – the Lyefook family has musical talent embedded deep in their DNA, Omars’ father Byron worked as a studio musician and drummer with Bob Marley, Horace Andy and even The Rolling Stones. Omars’ younger brother, the Grammy winning producer, remixer and DJ professionally known as Scratch Professer has been making jaws drop since the age of 13, stunning the crowd at the 1988 DMC UK Finals with his turntable skills. Samia Lye-Fook (Omar’s sister) is a renowned vocalist in her own right, and a BRIT School alumna, then there’s their big brother….Omar. 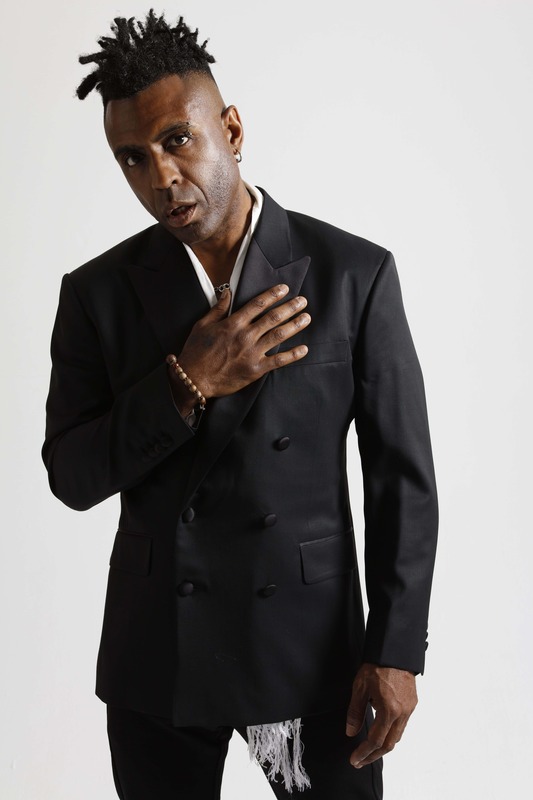 Born October 14, 1968, in London but raised in Canterbury, gifted, prolific and considered a musical prodigy; Omar learned his craft classically, playing the trumpet, piano, bass guitar and percussion. A former principal percussionist of the Kent Youth Orchestra and later a graduate of the Guildhall School Of Music, Omar has been making music for more than 32 years. Back in 1985 he released his first single ‘Mr Postman’ on his father Bryons’ Kongo label, which was also the original home for his first album, which contained the track that changed everything… ‘There’s Nothing Like This’. That album was re-issued by Gilles Peterson on his Talkin’ Loud imprint in 1991. This album established Omar as a stand out and unique artist, with ‘There’s Nothing Like This’ hitting the charts, so began a musical chain of events that has continued unabated up to the present day. The follow up ‘Music’, a vastly more orchestral and organic affair that highlighted Omar’s maturing as a composer, arranger and vocalist. Aside from the memorable title song, standout tracks included the still requested Get To Know You Better and the brilliant duet with his new Freestyle Records label mate Carleen Anderson, ‘Who Chooses The Seasons’. Soon after Omar signed to RCA, for whom he cut two further albums that notched up acres of critical acclaim, as well as introduced him to several of his musical heroes and heroines. On the1994’s ‘For Pleasure’ album, this includes some of Omar’s most prolific songs such as ‘Saturday’, ‘Outside’ and the Erykah Badu favourite ‘Little Boy’. He worked alongside the legendary former Motown producers Leon Ware and Lamont Dozier creating this masterpiece of an album. On ‘97’s ‘This Is Not A Love Song’, this was largely a collaboration with LA-based producer David Frank, he did a great cover of The Stranglers’ ‘Golden Brown’ and got to sing with one of his all-time favourite vocalists, Syreeta Wright on two songs, including the sumptuous slowie ‘Lullaby’. By 2000, Omar had moved on again, this time signing up with hip French imprint Naïve Records. The following year, now well established as the leading icon of the UK’s resurgent soul movement, Omar released his fifth album, ‘Best By Far’, a self-produced album, which he allowed his interest in cinematic soundtracks and jazz to shine through. Once again, the star names turned out on the album version of ‘Be Thankful’; a re-cut of the William DeVaughn seventies soul hit, featured Erykah Badu. A long time fan of Omar’s she came good on her word and jumped at the chance to feature on this track. Meanwhile MOBO winner Kele Le Roc supplied the strident lead on the anthemic groove ‘Come On’. 2006 saw the release of ‘Sing (If You Want It)’ which featured contributions from US rapper Common, Angie Stone and U.K. artists Rodney P and Estelle – but his crowning achievement was obtaining the Stevie Wonder duet ‘Feeling You’. It is, of course, a major coup for any UK recording artist to be able to call on the services of a musical legend like Stevie Wonder. The simple truth is that Stevie has been a fan of Omar’s music since he first heard T’here’s Nothing Like This’ back in 1992 – the same year he promised to write Omar “his first number one”. The 14-year wait turned out to be well worth it when, one day, Stevie called Omar out of the blue and told him he was in London and had just what he’d promised. A jam session later and the irrepressibly funky and melodic ‘Feeling You’, with Stevie on vocals and keyboards, was born. 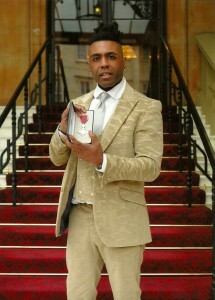 Several years passed whilst Omar wrote more original music for the follow up album, but he also moved into acting, developed and performed his one-man stage play, did voiceovers, collaborated with all manner of likeminded artists – and then in 2012 received notification that he was to be awarded an MBE for services to the British Music Industry – a rare accolade for an artist who was never overly focused on commercial chart success. In July 2012 – legendary soul boy, DJ and sports presenter Mark Webster contacted Freestyle A&R man Greg Boraman to tip him off that Omar had the new album completed and was looking for a new label. Boramans ‘speed of light’ email response could have won a Guinness Book Of Records title for the world’s fastest and most excitedly positive email in all history and so the discussions began…. And true to his word – Omar has kept doing just that. Aside from making weekly appearances on BBC Television in Javon Prince‘s comedy show, touring the world, recording and performing as one 5th of The British Collective and of course, supporting Stevie Wonder at 2016’s epic and unforgettable Hyde Park concert. 2017’s new release ‘Love In Beats’ is Omars’ 8th studio album and may just be the most diverse and varied to date; incorporating Caribbean rhythms, an undercurrent of funk, with touches of zouk, a jazzy waltz and spoken word. It also features collaborations with US soul legend Leon Ware, highly regarded Blue Note pianist Robert Glasper, rapper Ty, Guadeloupe born singer Jean-Michele Rotin, UK soultress Natasha Watts, The Floacist and Mayra Andrade, the Cape Verdean born singer who lives and records in Paris. Mainly recorded at his own Backyard Studio in South London, his unique voice, multi -instrumental and production skills, really come through on ‘Love In Beats’. With the help of his brother Scratch’s productions skills they have brought forth a new collection that may just be the most beautifully formed and career defining album of all.